When most marketers think about successful referral marketing use cases, the first brands that come to mind are viral startup success stories like Uber, Airbnb, Tesla, and PayPal. While each of those companies have successfully leveraged referral marketing, success isn’t limited to only those types of businesses. In fact, we’ve seen several large enterprise organizations — including Fortune 500 brands like HP and SAP — use referral marketing to quickly and efficiently bring new products to market. 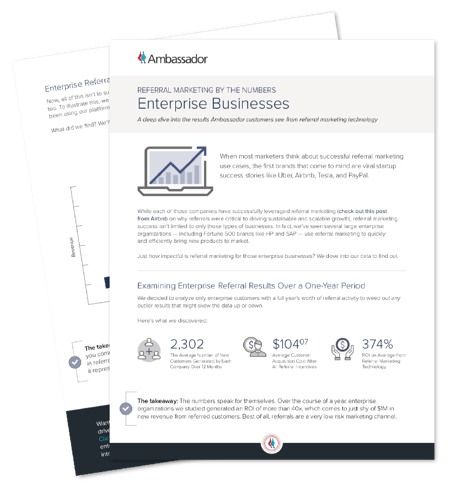 Just how impactful is referral marketing for those enterprise businesses? We dove into our data to find out.